Sharm el-Sheikh is the most popular scuba diving and tourist destination in Egypt and Red Sea. You will encounter there very good marine life and coral with a superb visibility and maybe the best ship wreck in the world, the SS Thistlegorm. The surroundings are very scenic with a magnificent combination of Desert and Sea. However, the dive sites in Egypt and especially around Sharm are often crowded and don’t expect to be alone underwater! If you want to dive further and less crowded dives sites, you should take a Liveaboard to explore remote areas. I usually use this website to book in advance my Liveaboards in the Red Sea as they usually have the lowest rates I find. I like it because they have an easy booking system. In this page you will find more detailed information about scuba diving in Sharm El Sheikh. How to dive Sharm El Sheikh ? Ras Mohammed Marine Park: It one of the most popular dive spot of the Red Sea. It has a teeming marine life with beautiful soft coral. You will enjoy relaxing drift dives along beautiful walls. Watch also the blue to spot the pelagic fishes like Barracudas and Trevallies swimming by! You can also spot there Whitetip Reef Sharks and very rarely the Hammerhead Shark. It takes about 2 hours by boat to reach Ras Mohammed Marine Park. There are 10 dive sites but the most famous ones are Yolanda and Shark Reefs. Straits of Tiran: It is a famous spot to enjoy superb reefs but also to spot bigger Sharks like the Hammerhead Shark or the rare Tiger Shark! The Straits of Tiran is more suitable for experienced divers. It takes about 2 hours by boat to go there from Sharm El Sheikh. Scuba Diving in Sharm El Sheikh is great for underwater photography because of the very good visibility and beautiful wrecks to explore. However, it is not really the best place for Macro and Critter lovers. If you look for excellent Macro and Muck Diving, try the Lembeh Strait or Wakatobi in Indonesia and Mabul Island in Malaysia! How to dive Sharm El Sheikh? Most of the Red Sea Liveaboards start from Sharm El Sheikh. They will take you to the best dive sites of the Sinai Peninsula like the SS Thistlegorm, The Dunraven, the straits of Tiran, Ras Mohammed but also to further spots North of Hurghada like the Rosalie Moller and other wrecks in the area. With a liveaboard you will arrive on location sooner than the divers coming on day trip and like this you will avoid diving on a crowded site! A liveaboard will also save a lot of travelling time. Liveaboards are not open to beginner divers, you need at least 20 dives before you get in! 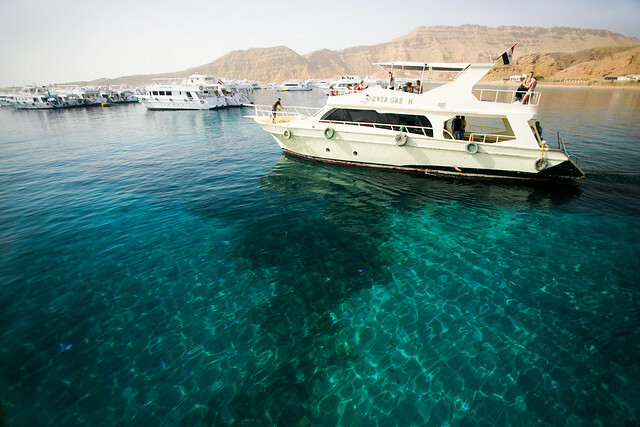 So if you come to Egypt just for scuba diving, a liveaboard trip is the solution you may prefer. If you are travelling with non divers, or if you want to visit cultural places, you should go diving with local dive centers. If you go diving with Sharm El Sheikh dive centres, you will also dive the Straits of Tiran, Ras Mohammed (Yolanda and Shark Reef), the SS Thistlegorm, The Dunraven and also the world famous Dahab Blue Hole on a day trip. However, travelling time to the dive sites can be long, up to 3 or 4 hours, and depending on the season you can spot underwater more divers than Fishes! There are also local dive sites used for diving courses if you want to get your Padi Open water or your CMAS One Star. Sharm is actually the most popular place for Europeans to learn scuba diving. There are over 50 dive centres in the area and they don’t have all the same level of quality and safety so always choose carefully! I usually use this website to book in advance my hotels in Sharm El Sheikh as they usually have the lowest rates I find. I like it because it's free to cancel and change the dates. It is possible to dive all year round in the Red Sea. However the air and the water temperatures can vary greatly throughout the year. During Summer, from April to October, temperatures are much higher and range between 20°C to 45°C! The water Temperatures is about 22°C in December, January and February, 26°C in October to November and from March to June and a warm 28°C in June to September. The hottest month is August and you may want to avoid it with air temperature higher than 40°C! February is the coldest month with water temperature as low as 21°C and you also may want to avoid it! The weather is sunny most time of the year. Take the easy way, Book your dives in advance! Water temperature: It varies a lot around Sharm. The coldest month is February and you can have a chilly 21°C. December and January also have water around 22°C. From October to November and from March to June, you can expect around 26 °C. If you look for warm water, prefer a trip from June to September with an average 28°C. Current: the current is generally gentle but there are also great drift dives! The Red Sea offers good Snorkelling opportunities. Most of the dive centers in Sharm el-Sheikh propose snorkelling half day tour and day tour to some of the best sites including the Tiran Straits and Ras Mohammed. If you are planning an upcoming dive trip or travelling to Sharm El Sheikh, it is a really good idea to invest in travel insurance for scuba diving, because you never know what could happen and when you might need it (because accidents do happen!). I recommend this diving insurance as they offer worldwide coverage and focus on providing scuba divers a quality insurance and medical assistance service. Now that you know all about the underwater world, you might want to start planning your scuba holiday! Check out our Sharm El Sheikh Travel Review for information about how to get there, activities and excursions, where to stay, and more. me and my girlfriend are going to sharm el sheik on 20th september 2012, and are looking to do a 1 day dive. we have no previous experience in diving at all, but was wondering if it was possible for us to dive without any certification, obviously under instruction ???????? All dive centres will over a Discover Scuba Diving course which will let you test it out and see if you like it. Try speaking with Red Sea Diving College, Camel Dive Club, Elite Diving or Sinai Divers. We just returned from a 2 weeks stay at Baron Resort with daily snorkeling. Twice wie saw a school of sharks just a GEW Meters from the reef. I’ve been lucky enough to dive in several places across the globe, the Red Sea several times. In general my experience in the Sharm area has been great, good vis, minimal currents and vast beautiful reefs (particularly the straights of Tiran). There is the world famous Thistlegorm wreck, which can be a little crowded but well worth the trip. The dive outfit I use by choice now is Elite-Diving, an amazing family run dive Center that still has that personal touch, the majority of dive staff are British, so no language issues for me. Worth a visit to Dahab to dive the “canyons & hells bells/blue hole” if you’re with a good company they’ll arrange a trip there with you if the political situation there allows. We normally travel with a group of 20+ divers with hotel, transfers & nights out etc arranged by Elite & choose not to go all inclusive, this way you get to see and experiance so much more. Certainly recommend it for all levels (ours go from complete beginner to instructor level) a great fun filled trip every time. I’ve been snorkelling in Dahab near Sharm. 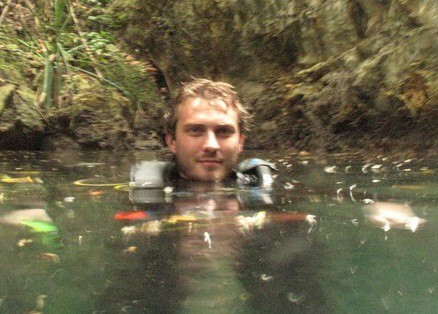 I want to say there is really beautiful deep canyon under water there. As i remember it is named as blue hole. So i recommend you visit this small village for snorkelling. Have you been diving or snorkelling in Sharm El Sheikh? Consider sharing your experience with the diving community by leaving a comment below! Planning holidays in Sharm El Sheikh? Looking for practical information for a trip to Sharm El Sheikh? Check out our Sharm El Sheikh Travel Review! Check out these few spots around Sharm El Sheikh!